It’s that time of year again – make a resolution, then break a resolution. Try a science-based approach to achieve your goals in the new year. New research from David DeSteno, professor of psychology at Northeastern University and his colleagues, found that feeling and expressing more gratitude and compassion – not willpower or grit – drive self-control to achieve those new year’s resolutions. The key to achieving goals is self-control for something we really want. Pulling ourselves up by our bootstraps (“I’m going to exercise at the gym every morning.”) or pushing ourselves to do something that isn’t rewarding (“No sweets for the next three months.”) increase stress and decrease well-being. They don’t create purposeful, meaningful connections in our thinking to feed self-control or change behaviors to make progress on our resolutions. Relationships and emotional success drive self-control and motivate us to achieve what we really want. Putting something or someone ahead of our own, immediate interests satisfies our need for self-control in the short-term to achieve something we want in the longer-term. And if you really want to accelerate goal achievement, throw in a little pride! Not boisterous, self-centered, “look at me,” pride, but feeling proud of an accomplishment, developing a new skill, or doing right by a client or coworker. The fields of social emotions and emotional success are changing that way we think and act to fulfill goals and new year’s resolutions. Gratitude and compassion are the keys to unlock our potential and realize our future selves. 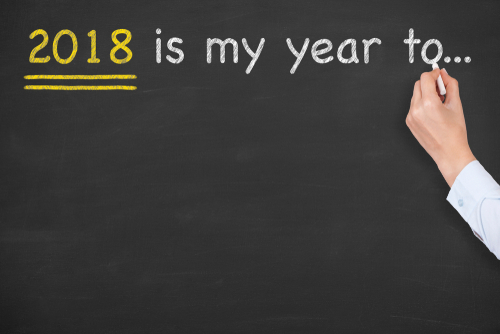 To learn more, read DeSteno’s article, The Only Way to Keep Your Resolutions, and take a science-based approach to your new year’s resolutions.